Listening to music has so many benefits and it can be a wonderful way to integrate music into your classroom. 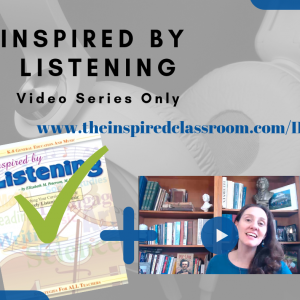 Whether you Soundtrack your Classroom or use Active Listening strategies, you can teach music standards that will also connect to other content standards. Music, as is true with nearly any art form, touches us both intelligently and emotionally all at once. 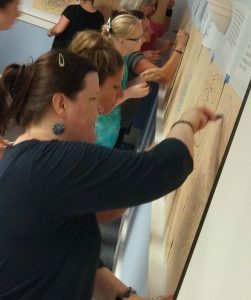 While arts integration seems to focus in on the intelligent piece of learning, we can’t forget the benefits of the emotional learning we can do through the integration of the arts. 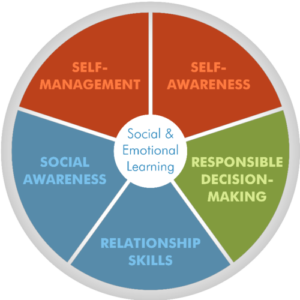 As the field of education evolves and the needs of our students constantly change, we find ourselves needing to explicitly teach the social and emotional strategies our students lack. Listening to music can do just that! 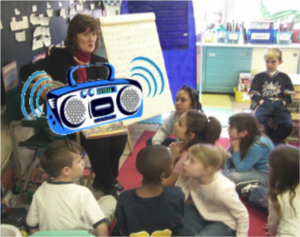 When you soundtrack your classroom, you use music throughout your day to set a tone for learning. The music you choose, the volume at which you play it and the timing of its placement all matter. You want to help you students become aware of the music and why you are playing it and then let it naturally blend into the background. I enjoy using alpha-wave music that has no set beat or rhythm. It is soothing and creates an almost droning sound that promotes a sense of peace. It’s the kind of music you may find in a massage parlor. This music serves well during instructional time, independent work time and even silent reading time. Using music in this way can be like laying a warm blanket over your students. It helps to calm their bodies and focus their minds so that they can work optimally. When a student starts to get restless or anxious, I ask them to take a deep breath and listen to the music again to help calm their body and focus their mind. It works most of the time IF we practice it as a class (or small group or independently) ahead of time. Of course practicing self-management skills before you are in need will help you to use them when you actually need them. 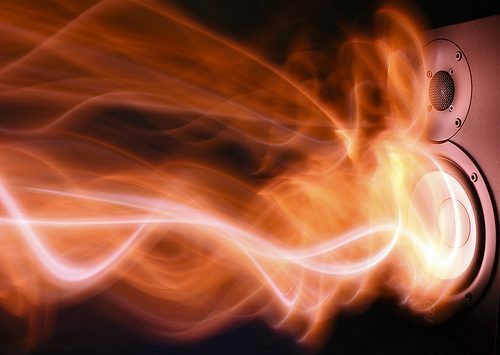 When you actively listen to music that means that your ears and brain are fully activated while your body is calm (a true exercise in self-management). You are able to focus solely on the music as opposed to passively listening where the music is in the background. You’ve probably had that experience where you hear a song and it brings you right back to another place and time. It reminds you of someone or something. Sometimes it’s an uneasy feeling, often it’s great. It can make you smile or even cry, as if you are experiencing that something in that very moment even though you really may be just driving in your car. Music has a strange power over our emotions. It can really make us feel. In the classroom, we can use that power of music to lead interesting and insightful discussions around emotions as we focus on self-awareness and social-awareness. 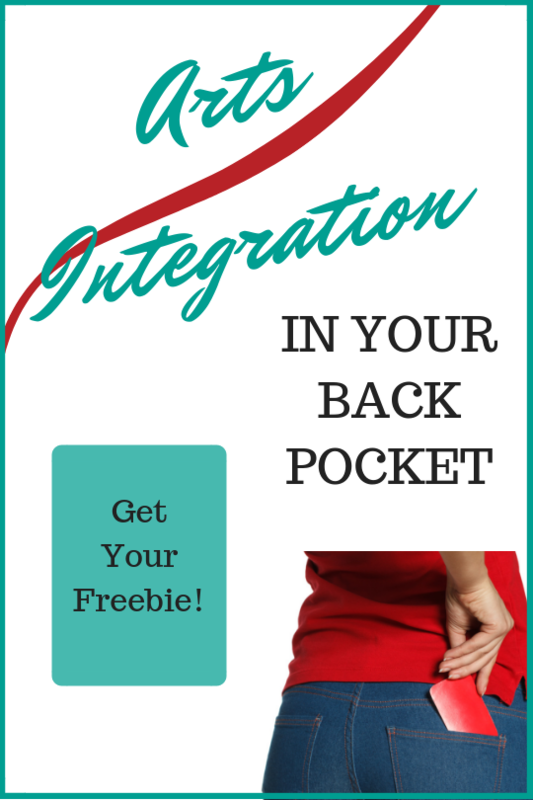 Different Emotions – We don’t always feel the same way – and that’s ok! 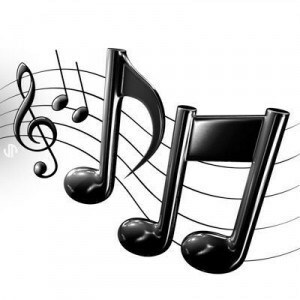 You will most likely see that the same piece of music does not affect people in the same way. What makes someone feel sad, may make another person feel calm. A motivating song to one, may sound frantic to another. Having a discussion and actually seeing how people have different emotions about the same thing is a very beneficial lesson. 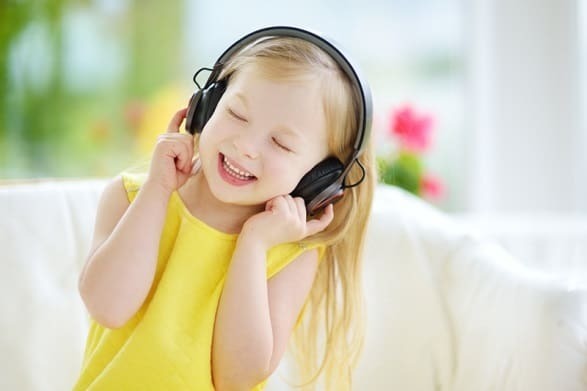 Experiencing Complex Emotions – Sometimes students will feel a variety of emotions after listening to a song. Excited and angry; sad and tired; happy and overwhelmed are all emotion combinations that have been shared. This can also be the case in real life. What a great way to discuss complex emotions through an experience you all have shared. Music can do this! The same can happen over time with your students when you listen to (or create or perform) music together. You share the common experience of listening, and then are able to discuss and share your own opinions and ideas about the music. As you do this, you build relationships that include trust and compassion within your community of learners. This seems to happen again and again in my room when I consistently spend time actively listening to music with my students. Start short! 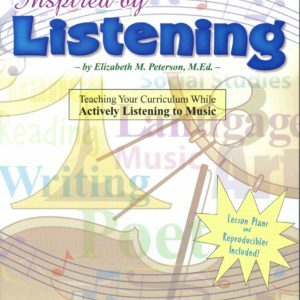 Students’ listening stamina is probably low because they may not be used to actively listening to music. This takes practice. Use a piece of music that is short or you could also use an excerpt of a bigger piece. Classical is always a great choice. Instrumental music, whether it’s old or new nearly always works well. Remember, you can always just play a section of the piece. rom another culture, or any other type of music. The more far-reaching you can stretch, the better. The kids are with you to learn and expand their horizons after all! Consider the lyrics. Be aware of the message or theme of a song you chose to use. Sometimes it may serve your purpose in listening. Through all these experiences listening to music, we touch on self-management and self-awareness along with social-awareness and building relationships. 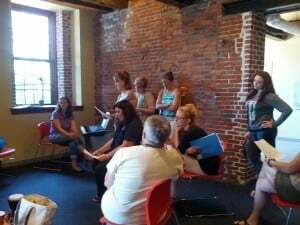 The Social-Emotional Competencies are naturally embedded in these listening experiences through SEAL.